Classic Car Mart is the magazine meant for those denizens whose lives are not complete without vintage cars. This magazine provides fresh details of all the purchased and sold classic cars. 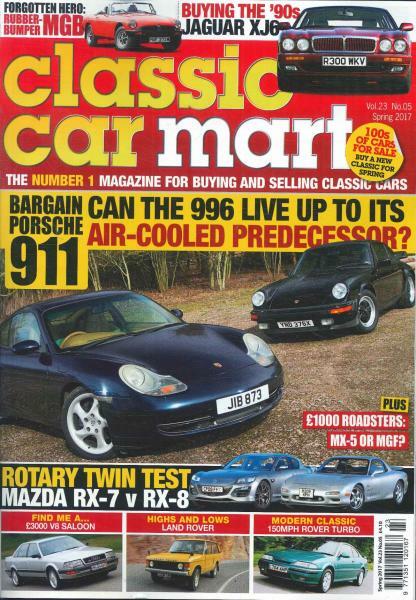 Buy a single copy or subscription to Classic Car Mart magazine. Followed by £47.97 every 12 months by direct debit. Those private collectors looking to make an addition to their collection should take a look at this magazine as it provides them with all the details they require in order to make the best investment of their money. Brought out once every four weeks (why not more often you think?) it provides in-depth editorial features and allows for the comparison of two car models, probably the two you were confused by, and stacks up enough points in order for you, the consumer or private collector to make an informed choice. The reports are suitably well-detailed with descriptions of cars and parts that can be haggled over or rejected. For someone looking to make an all round purchase, with little or no losses, this magazine can be just what you are looking for. They also hand out practical guidelines and handy tips in order to make the process of maintenance and servicing just a tad bit more convenient for an important customer like you.